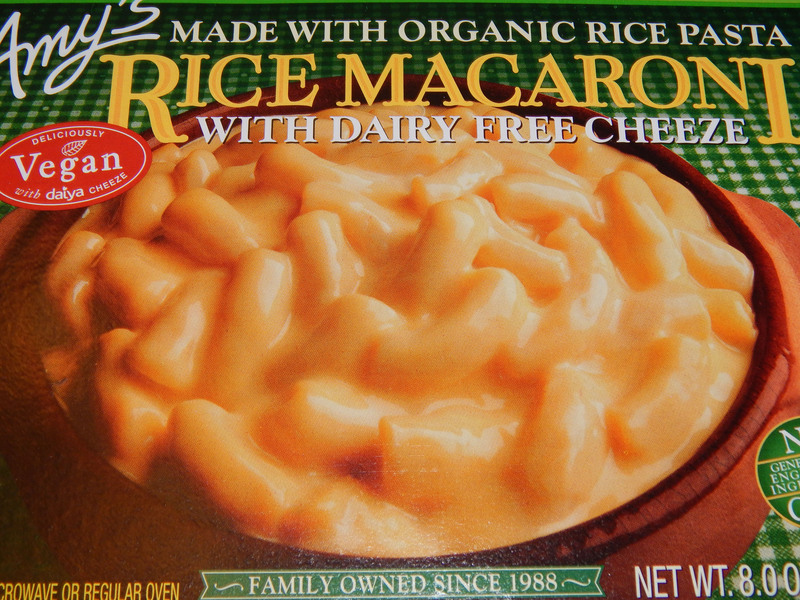 So … Amy’s Kitchen has a new gluten free and dairy free Macaroni and Cheese! I admit I approached this frozen meal with some trepidation. One, I’m one of the very fortunate ones who don’t have a problem with gluten. And since I cook the majority of my food myself, my diet tends to be naturally low in gluten. However, I’ve noticed that when I deliberately try to remove gluten to from my food – such as purchasing gluten-free pasta – I’ve discovered oftentimes when you take the gluten from a food, you’re basically replacing it with glue. Two, I am not a big fan of “cheeze.” I am in the small but significant minority that actively hates Daiya. And that is the “cheeze” Amy’s uses for their vegan Macaroni and Cheese. Like I said, I approached this meal with some trepidation! The frozen meal, however (once heated in the microwave), turned out to be surprisingly good. I actually liked it better than Amy’s Kitchen regular Macaroni and Cheese. 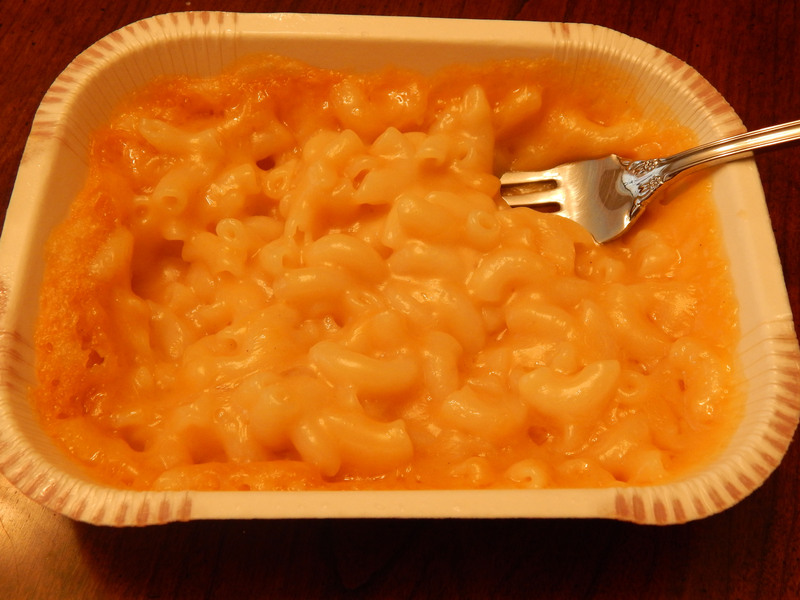 Or at least what I can remember about their regular Macaroni and Cheese – it has been a number of years! First things first, the meal actually did look similar to the picture on the box. The positive point – surprisingly! – is the cheese. For some reason it didn’t taste much like Daiya. It had very little of that weird aftertaste, which I find oddly sweet and my partner finds oddly sour. Perhaps because it was cooked with coconut oil? And it was creamy and ooey and gooey and stretchy like cheese and even bubbled and browned around the edges of the tray, like cheese. True, it was a bit bland. 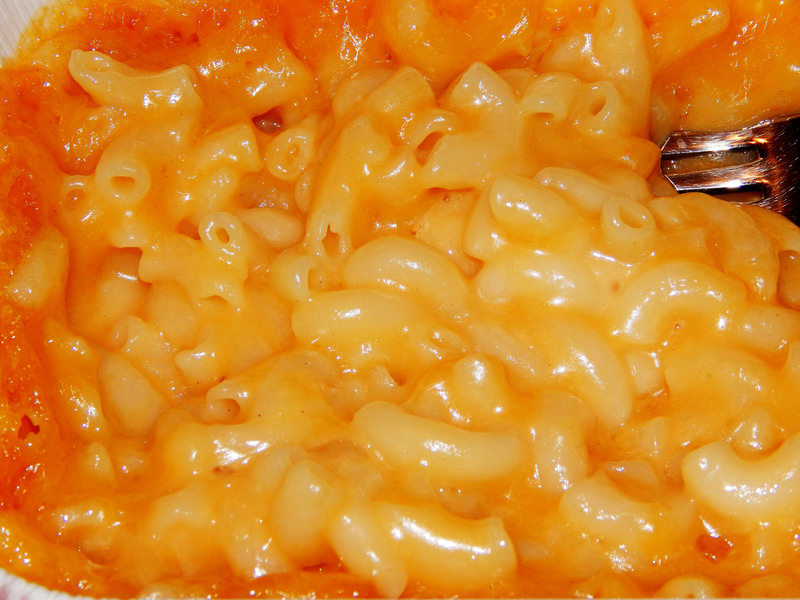 But I recall Amy’s regular Macaroni and Cheese as bland – and, indeed, most of the mac-n-cheeses that I’ve tried. When I cooked mac-n-cheese, many eons ago, I always spiced it up with dashes of red pepper, sharp cheddar cheese, broccoli, tomatoes, and jalapenos (not necessarily all at once, at the same time). To solve the blandness, I employed liberal use of my salt and pepper shakers. Mmmm, better. I was happily spooning up my tricked-up macaroni and cheese – until I noticed the nutrition information on the package. I already expected this vegan convenience meal to be empty calories – but, whoa, that was a LOT of empty calories! 520 of them, to be exact. And when I say “empty,” I mean: 22 grams fat. 740 mg sodium (not including the extra sea salt I utilized to liven things up a little). A lowly 3 grams of fiber. 0% Vitamin A. 0% Vitamin C. Acceptable amounts of protein (8 grams), Calcium 6%, Iron 6%. 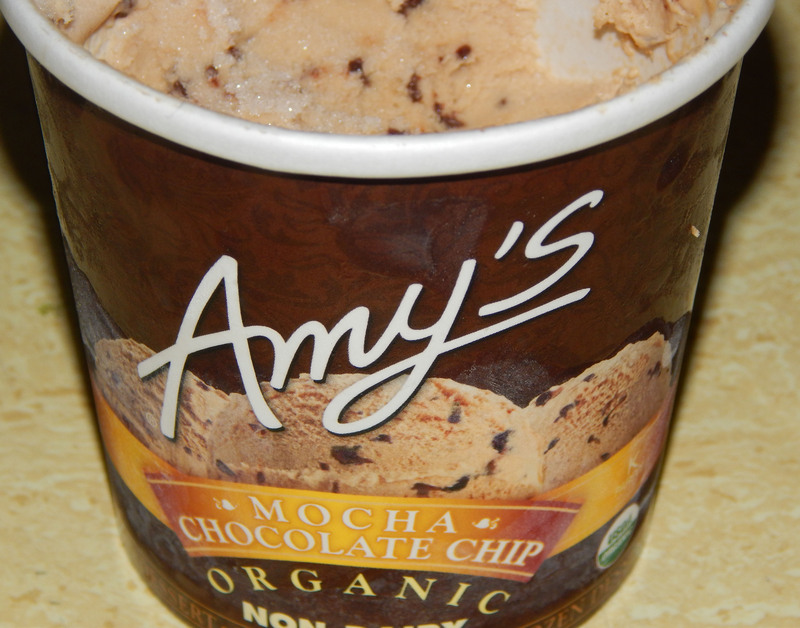 Or, I’d rather spend the calories on something completely decadent and not just “sorta” good … like over half a container of Amy’s ice cream (my favorite … Mocha Chocolate Chip). It’s up to you. If you are mad for Macaroni and Cheese (it’s a vegan obsession for many), you may want to check this out – especially with garam masala! The empty calories in that teeny tiny tray may be worth it to you. Don’t worry … I don’t judge. But … if you’d rather ingest 520 calories some other way … I won’t judge you for that, either. Their mac and cheese is one of my guilty pleasures— but now that I know that Amy’s makes ice cream, I’m going to have to find some and try it. It’s fine for it to be a guilty pleasure as long as you get more pleasure than guilt out of eating it! 🙂 The ice creams are amazing.